Imagine how long and tedious it will be to clean-up right after a party, without assistance from machines. Previously, the dirt from upholstery and carpets had to be beat out of them manually; brushes, cleaning cloths and brooms were the top cleaning products during that time. The founder of Nilfisk-Advance, P.A. Fisker, began as an electrical engineer who liked to work on electrical motors. After establishing his business during the year 1906, he started to produce motors to drive fans, machine tools, drills and coffee grinders. Mr. Fisker's dream from the beginning was to own an international company marketing merchandise globally. The Nilfisk C1 was an incredible breakthrough for the cleaning business. This ground breaking vacuum cleaner, invented by Mr. Fisker, weighed just 17.5 kilos and could be operated by one individual. This creation came in a time where various cleaning equipment were huge and needed at least 4 operators, thus, the Nilfisk C1 changed everything and evolved the manner we clean forever. The mastermind behind these first cleaning machines remains unparalleled. Cleaning equipment provide an excellent solution to an existing crisis; stuff get filthy and need to be cleaned regularly, without too much effort. 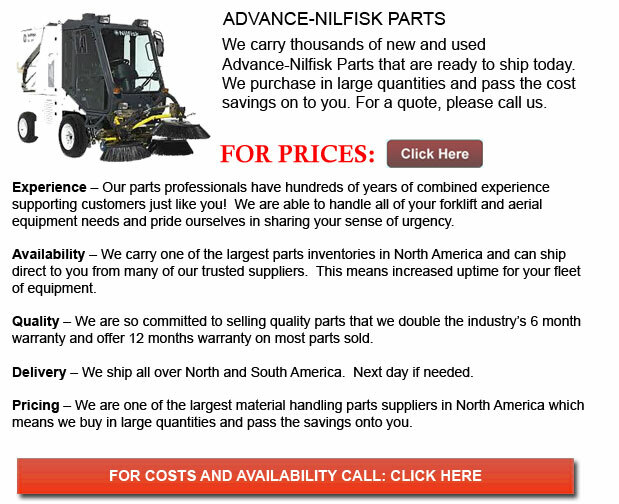 Gradually, the business Nilfisk-Advance expanded all through the years. In the the early part of the nineteen eighties the company expanded more rapidly when the company became a part of the NKT Group. With new owners on board, they focused on driving Nilfisk-Advance forward within the industry, aspiring to be an active international player in manufacturing professional cleaning equipment. Nilfisk-Advance is currently located in every part of the world by steadily obtaining lots of small businesses to be able to develop their product selection and presence in new markets. They are proud to provide various cleaning solutions to meet each requirement.